Your company outsources its IT services, its legal services, and probably outsources its annual HR reporting requirements too. You outsource these non-core functions so that you can focus on what you do best: selling your product and growing your business. But for some reason you are dead set on keeping your finance in-house. You’ve heard some of your peers talk about outsourcing finance management, but there’s something about it that holds you back. Perhaps it’s just because it’s not the traditional way of going about things, or maybe you’ve heard a few things about outsourcing finance that put you off. Let’s take a look at separating the myths from the truth surrounding this practice. You can’t trust someone external with sensitive financial information. “Keeping it in the family” is one of the big reasons that companies steer away from outsourcing finance. After all, information about salaries, profit and debt is sensitive material. In non-listed companies, this information is often withheld from most of the employees of the company, let alone outsiders. And if competitors got hold of that information they’d have a field day. So why trust this with someone you don’t know? The answer is that your information may well be safer with an external source than with a fulltime employee of the company. A permanent in-house employee, by nature of their role, develops close relationships with other people in the company. They are more likely to have the motive to divulge sensitive information to others in the company than someone who has an outsource relationship. Third party (outsourced) finance executives are bound to rigorous confidentiality agreements. They are fully aware that leaking sensitive information will put their reputation and livelihood at stake. And if company information is leaked, third party executives know that they will be the first suspects. For this reason, an outsourced finance executive is often more likely to guard the information they are privy to than an employee who might casually mention a thing or two to his colleagues over a beer after work. 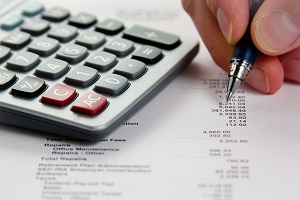 An external finance manager does not fully understand your company’s operations and systems. Your rationale is logical: he or she hasn’t spent years with the company; how can they fully appreciate the way things work there? While such a concern is understandable, remember that interim finance executives specialize in adapting to new environments. They may not have worked for your company for years, but they’ve likely worked in companies like yours several times prior. Most interim executives only need between three to five days in a new company before they are able to start functioning fully. Because of their varied experience, they are generally also very comfortable adapting to new systems. Experienced interim finance executives say that most systems have certain characteristics which repeat themselves in companies of a similar ilk. 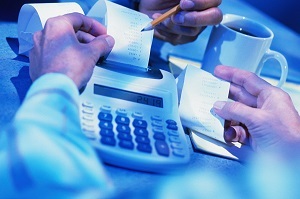 Chances are that he or she has worked with your accounting software before too. An outsourced financial manager would lack insight as a senior member of the exco or board. If they’re not there for the day-to-day operations of the business, can they give useful insight on the board or management committee? The answer is yes. Outsourcing finance management will allow someone with a fresh perspective to sit on your senior management team. They’ve got a broader focus and have more insight into competitors and the industry at large. While your perspective might be limited by the sights and goals of the business, they have a broader view that will help to inform strategic decision making. It’s almost like getting insights from a member of the competition, minus the conflict of interest! Outsourcing finance takes a paradigm shift and a willingness to try something new. But many companies attest to the fact that this new way is often more effective, more efficient and yields more powerful results. If you are considering outsourcing finance in your company, speak to The Finance Team. We have an impressive team of highly qualified finance executives who can provide advisory or ongoing financial leadership for your organisation according to your needs. 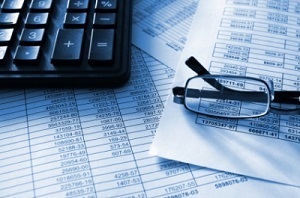 Ever considered outsourcing finance functions in your company? You are part of a growing number of business leaders moving in that direction. According to a study conducted by US-based research company Ovum, the number of finance and accounting projects worth more than 1 million dollars has increased over the past two years. An article featured by Forbes says that as the outsourcing market matures, “companies contracting for outcomes are exploring fresh ideas and seeking new answers to streamline finance and accounting processes. This means the practice of outsourcing finance is expanding to new areas. Responses from 150 companies interviewed by Ovum showed that driving efficiency was a major rationale behind the movement. The study found that companies are “moving up the value chain” in terms of the accounting and finance processes they outsource. Years ago, outsourcing finance was limited to basic or transactional functions such as debt collection. However, companies are increasingly delegating more strategic tasks. One out of three respondents in the Ovum research had outsourced finance by way of internal auditing – seen as a strategic and often sensitive undertaking. The cost benefits to outsourcing finance and accounting functions can be leveraged as the number of delegated functions increase. The wider the angle of insight that the person or company appointed to provide the outsourced services enjoys, the more valuable the service he can provide. One example of this, cited by Jag Dalal, managing director of thought leadership at the International Association of Outsourcing Professionals (IAOP), is accounts payable and receivables. An outsourcer delegated to follow up on accounts payable will do only that. However, someone outsourced to oversee accounts payable as well as receivables will be able to see when cash comes in and goes out, and therefore plan around and optimize on cash flow. Overall, he will provide more value to the business. You are no longer among colleagues. Because the person appointed is not an employee of the company, there is the possibility of encountering less flexible service. Also, anything that’s not part of the job contracted for could be charged for. Outsourcing contracts often hit the company with a number of unforeseen “extra’s” that are billed for as the project unfolds. Your company’s task is to look for a service provider that adopts a team-player mindset and also comes with a transparent cost model. An initial dip in quality or lengthened turnaround times. It’s almost inevitable when outsourcing finance. Teething issues arise when the outsourcer assumes the functions that were initially handled in-house. When you take the decision to go external, you run the risk that quality never quite recovers. Your task is to appoint someone well-suited enough to the task, and with enough experience, that down-time is minimized and the quality of your company’s output is maintained. Loss of motivation internally: In some cases, outsourcing finance results in redundancies. At other times, it merely means a shift in the way something is done or the need to accommodate a new team player; someone who will bridge the gap between the internal environment and the outside world. In either case, it will require prescient management to anticipate where existing employees might resist the change. The outsourcer should be able to anticipate and tactfully – and effectively – deal with what could potentially dampen productivity. Whilst there are definite benefits to outsourcing finance, there are simultaneously risks inherent in making the shift. The answer to successful financial outsourcing is to manage the internal reaction to the change and appoint an outsourcer skilled enough to ride the almost inevitable backlash that will accompany his or her appointment. The Finance Team helps to connect companies with skilled and experienced finance executives who can head up outsourced finance and accounting functions. These professionals have the experience and know-how to ensure your company derives the cost benefit of outsourcing while simultaneously avoiding the potential pitfalls that can accompany the practice.